It is unfathomable why more people do not visit this charming and historic museum conveniently situated in the Piazza San Marco. 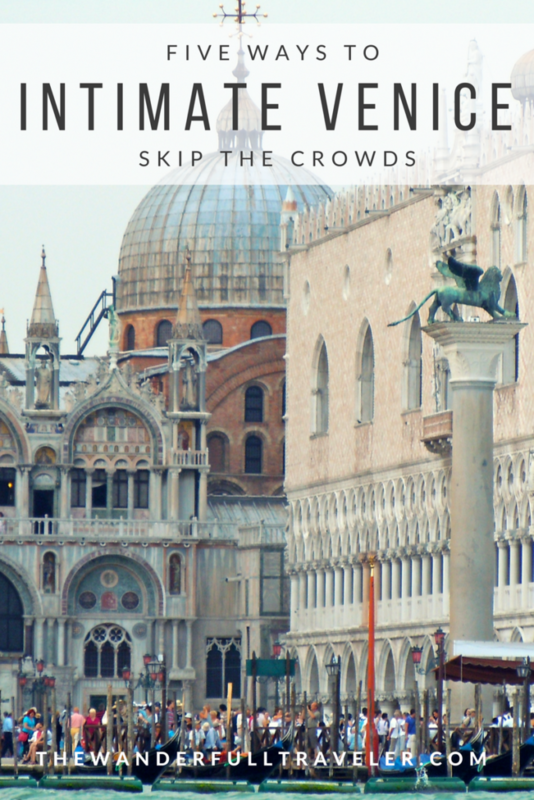 While the Palazzo Ducale is not to be missed, if you do not want to wait in the long line up then the Museo Correr is a great way to see historic Venice without having to elbow your way from room to room. Here you can see Neo-Classical works, old and rare Venetian coins and in the Libreria Sansoviniana wing, designed by Jacopo Sansovino, you are able to take in a precious view of the square. Works by Venetian greats such as Titian, Tintoretto, Veronese can all be viewed at your own pace without the rush of tourists. 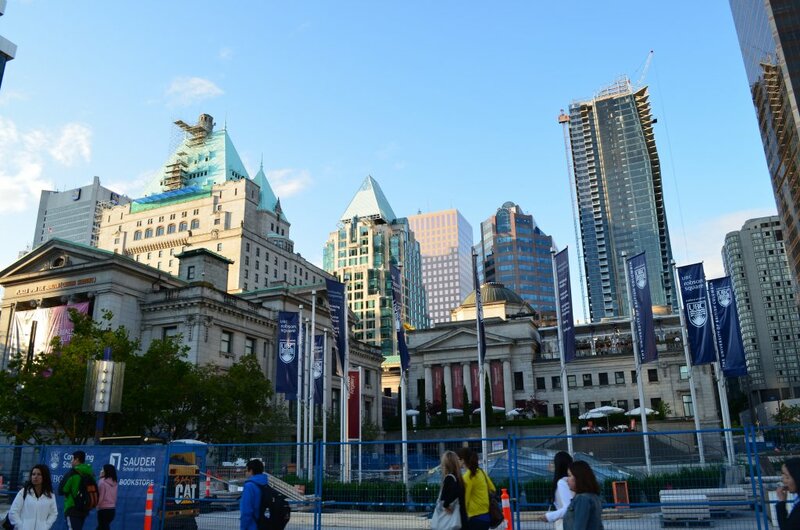 It is hidden in plain sight – in this case at the left side of the hideous billboard in the image above. 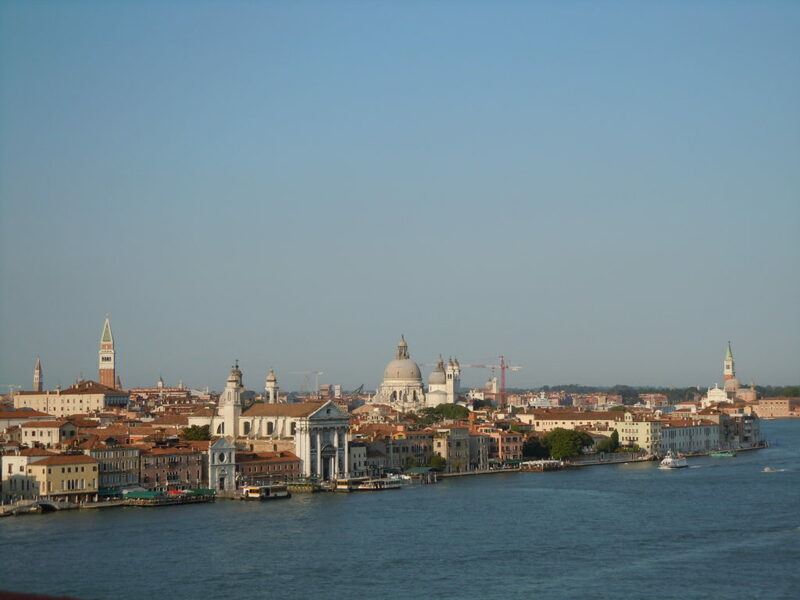 For views of the Venetian island take a quick Vaporetto ride to La Giudecca (Dorsoduro) where many Venetians and artists live. The hotel itself is a restored flour mill with a rooftop pool and bar. Enjoy an afternoon beer or prosecco and be sure to bring your camera as the 360° views are priceless. The first time I experienced the views I had just singed off my bangs with my straightener due to a travel companion using the wrong voltage converter. 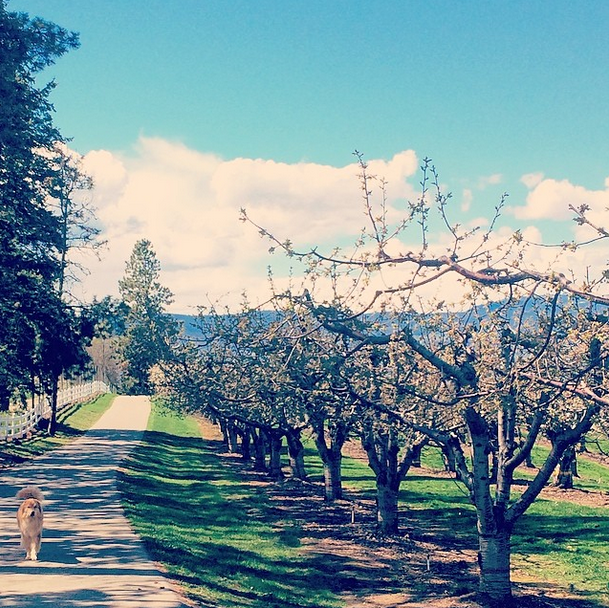 These views made me forget about it for a while…and so did the prosecco. The rooftop is also a great spot to take in the sunset. However, I recommend you make a reservation as this space becomes a chic hangout in the evening. Authentic restaurants can also be found along the canal. No tourist food here! 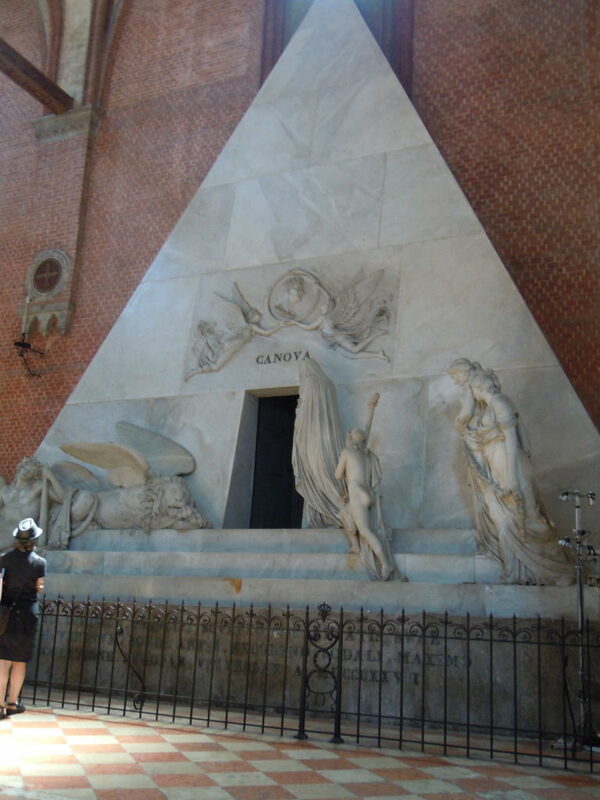 In short, the Frari church, completed in 1396, is one my favourite churches in Venice because of the Tomb of Canova and Titian’s Assumption of the Virgin. I am not particularly religious but the character of this church is unforgettable with its impeccably preserved choir stalls and unique red-checkered flooring. 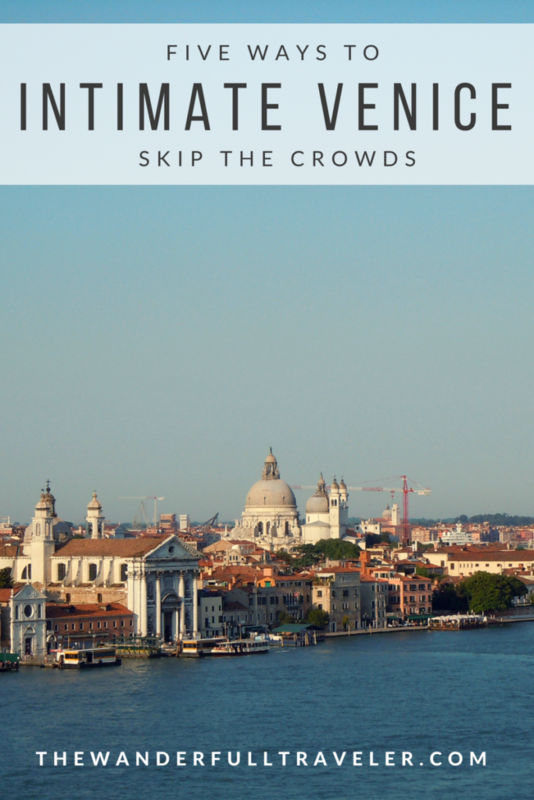 Additional tip: Be sure to wander over to the Scuola di San Rocco around the corner from the church and view other religious works by Tintoretto. 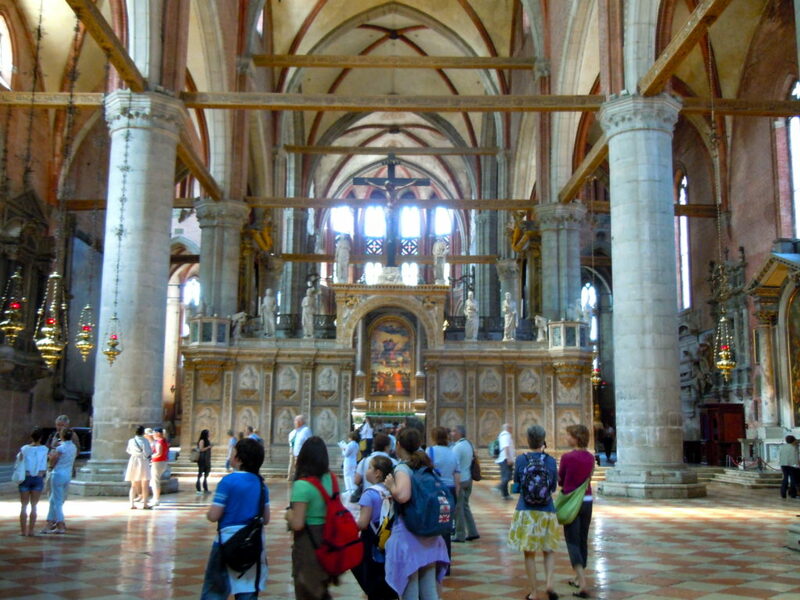 This area is usually void of too many tourists, as is the Scuola’s own modest church which is usually empty. But be sure to refuel with a slice of delicious pizza or cappuccino from one of the corner stalls surrounding the Frari! If you ever run this risk of tumbling into the murky canal it will most likely be when you attempt to take a close-up photo of the Rialto during the daytime when tourists and baggage handlers are running rampant. There is also a Vaporetto stop right in front of this busy bridge, completed in 1591. 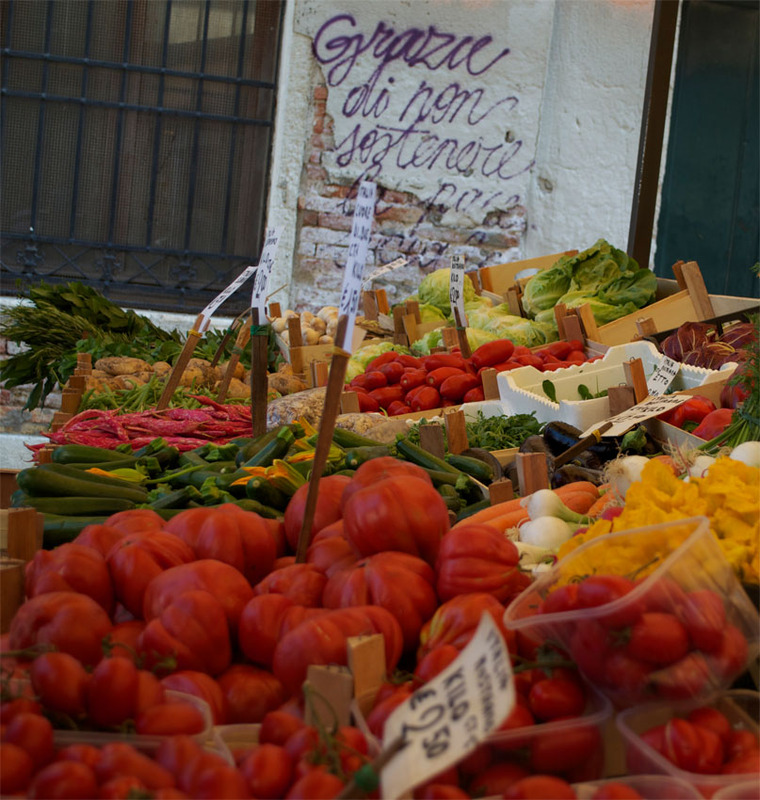 During the day I recommend you take a stroll down to the Rialto market and feast your eyes on specialty meats, freshly caught fish, small sharks and octopus, however, be sure to return around dinnertime, which is around seven or so in Italy. I guarantee that this bridge will be relatively solitary with lovers sailing beneath it in gondolas and the smell of grilled seafood and fragrant pasta sauces fill the air. 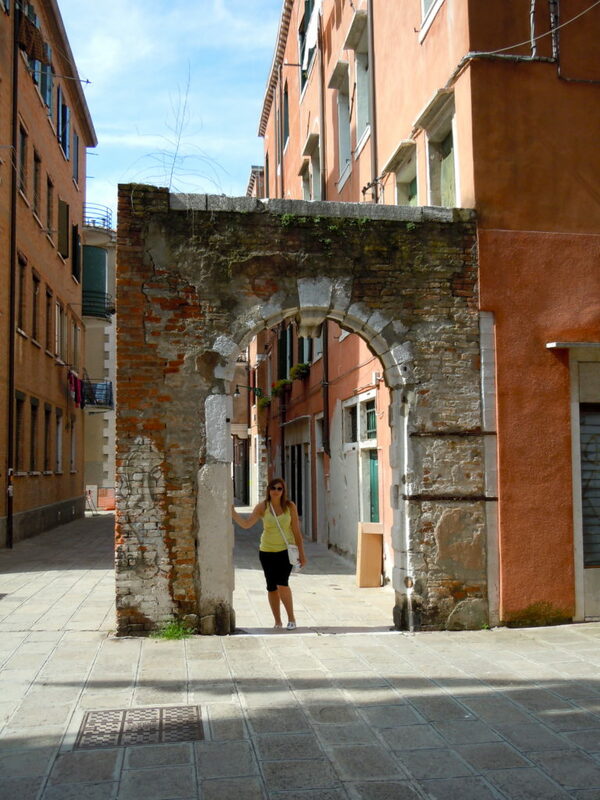 One of the best ways to get to know Venice is to literally get lost in her labyrinth streets. However, be sure to bring a map just in case. 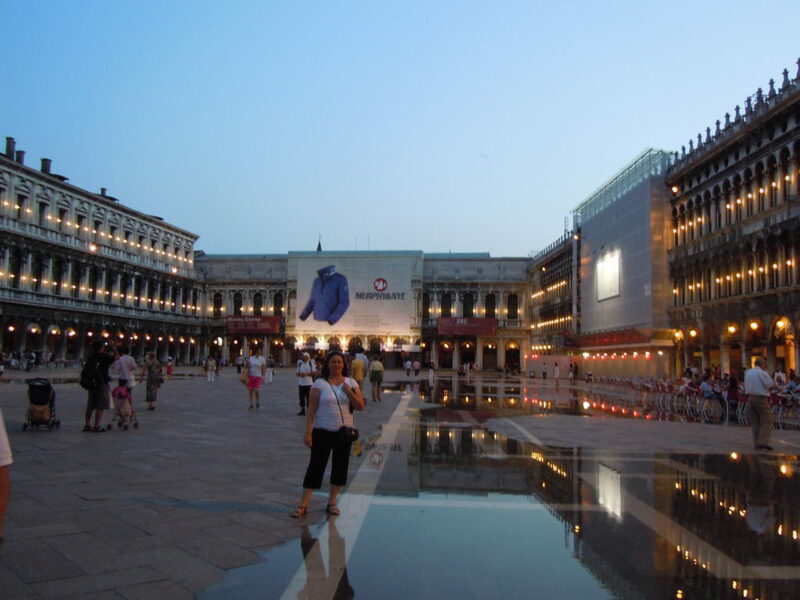 Many streets lead directly to Piazza San Marco so, if you can find your way back to your hotel from there you’ll be fine. Venice is also one of the safest cities in Italy, use your common sense, stay safe and take in her architectural beauty. Become a Flâneur or Flâneuse! Let your nose and your eyes guide you through her alleys, cafes and trattorias. If you see a dark alley (and you feel comfortable) go down it! 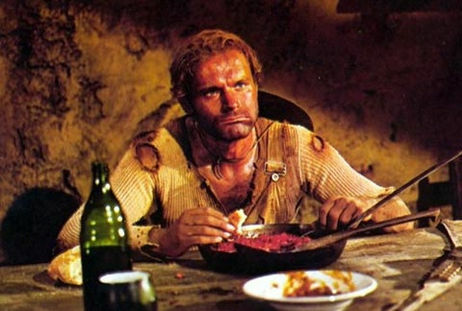 Odds are there is the hotel I stayed in or one of the best meals of your life. Find a dead end? Turn around and keep on exploring. 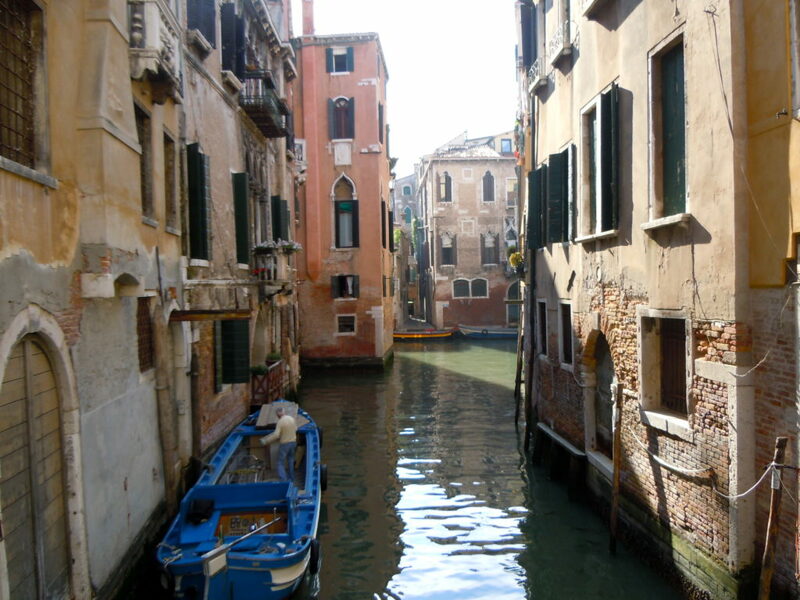 There are so many areas that are empty of big crowds and contain fleeting moments of daily Venetian life. The best way to end a day of exploring is to reward your self with a delicious Italian meal and a glass of spumante in the Piazza San Marco watching the rising tides. The most i don’t like in Venice is the Crowd, and you really find some awesome places in there. All the photo shots are great, but one the most i love is the water street. The crowds can be tedious. I blame the cruise ships that come in and out with big groups only there for 6-8 hours. If they limited this it would not only help clear up some of the streets but it would help the damage the waves do to the buildings and foundations. Once it is night time you really get to see a different Venice without the crowds and the locals come out to enjoy their city. Totally agree! My favourite thing about Venice was getting lost. Such great tips! I wish I knew of 5, 4 and 3 before I visited! Thanks Deanna! Love your website and thanks so much for visiting! Great blog post! 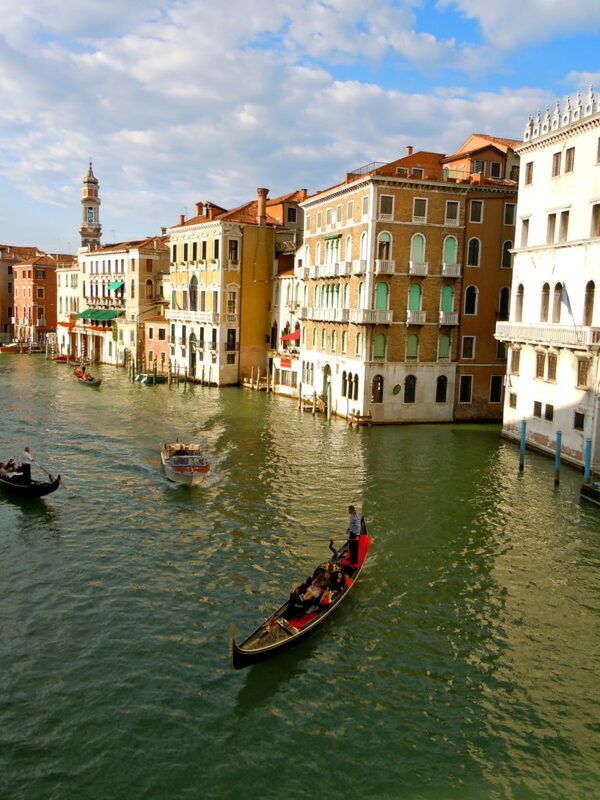 These are some really great tips for visiting Venice. 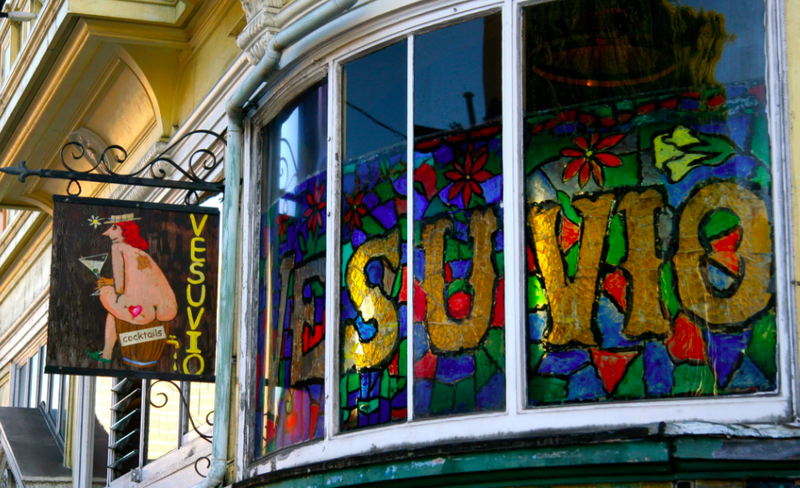 Calling by to visit you as another contributor to La Dolce Vita. Good to meet you and I enjoyed your Venice post. Wow, these photos and suggestions are fab-u-lous! 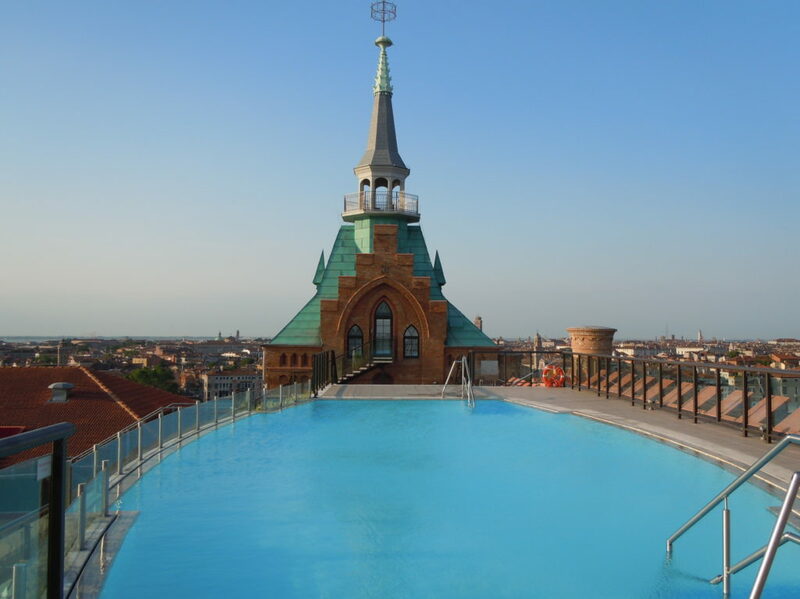 I wish I was at the Hilton – Molino Stucky terrazza right now!